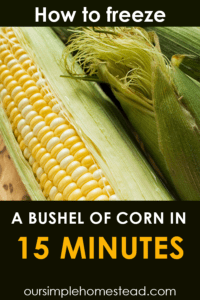 You’ve spent months planning, planting, growing, watering, fertilizing and now your garden is producing baskets of fresh vegetables you can start preserving. I bet you agree there’s nothing like the flavor of homegrown vegetables along with the satisfaction you get every time you walk through your garden. But now the reality has set in that you need to start preserving vegetables or all your hard work will go to waste. Canning can be a lot of work, but there’s something special about going to the pantry and opening a taste of summer in the middle of winter. Before you start canning or freezing give some thought to how your family likes to eat vegetables. For me, I enjoy frozen corn and peas better than canned and I like canned green beans over frozen. 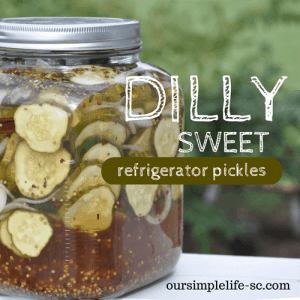 We enjoy pickled beets better than dill pickles and we like canned peaches over frozen. No one in my family likes canned carrots, but I do like to have them in the freezer for winter soups and stews. 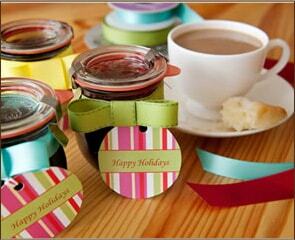 And lastly, we prefer jellies over jams and homemade spaghetti sauce over salsa. Tucking your harvest away in a cool basement or root cellar is the easiest method to keep your vegetables from spoiling. However, most fresh vegetables don’t have a long enough shelf life to benefit from cold storage. Potatoes, beets, winter squash, and onions will hold up best in this environment. Most home grown vegetable do well in the freezer. 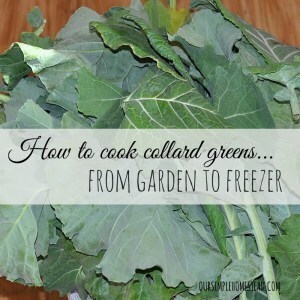 If blanched as soon as they are picked, most vegetables can last up to 12 weeks in the freezer. High water content vegetables and fruit like tomatoes, beans, peaches, and corn thrive when canned. 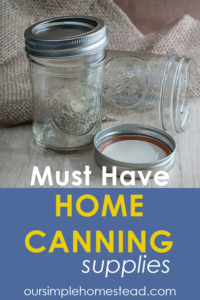 If you’re new to canning I highly recommend taking the time to read the “Principles of Home Canning.” This guide will teach you all the basic tools and skills needed to be a successful home vegetable preserver. Most people think of cucumbers when they think about pickling. However, many vegetables and fruits can be preserved, including peppers, cauliflower, apples, and pears. 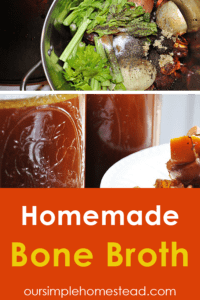 Get to know the Ball’s website “Fresh Preserving” inside and out. 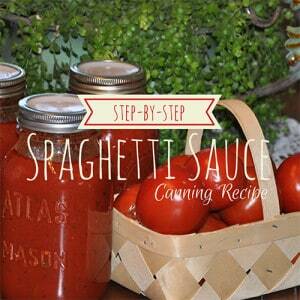 They’ve helped me time after time by answering any of my canning questions. 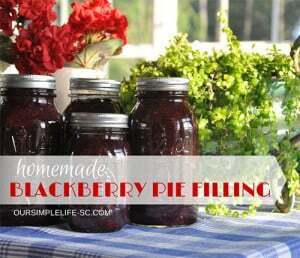 So before you start on a marathon of canning determine what your family enjoys and only put work into what you know they’ll enjoy. I have never really thought about it that way but you are so right there are things we like frozen and other things we like canned. I have not dived into canning much yet so I will look at book you recommended. I dream of a pressure canner for Christmas however it might be more than Santa can afford. For us in Dallas, Texas our peak harvest time is over and we are in the Hotter than Hades time. So we are out early in the morning then inside wondering how the first homesteaders survived without air conditioning. We are lucky though because we get to plant for another really good fall season in a few weeks. Great post reminding people to think before they preserve! I truly appreciate things like this. 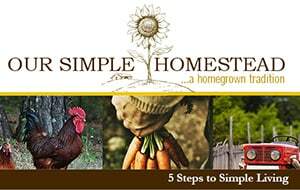 They are a great resource for folks just getting started. 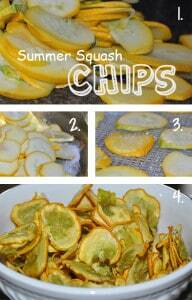 Great idea to consider how you like to eat your veggies before you prep them for storage! You’re so smart! 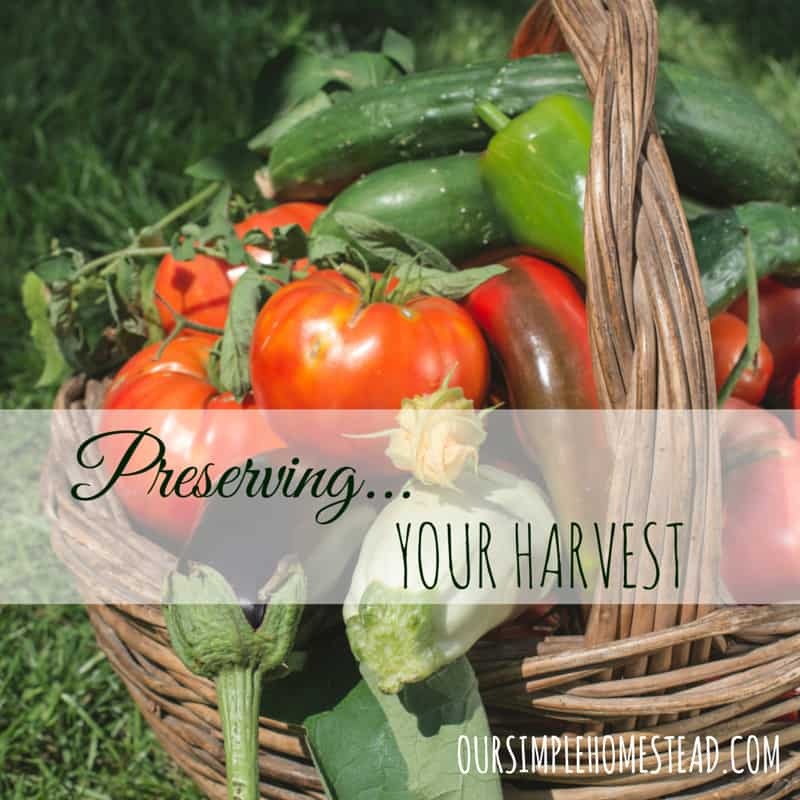 A great post on Preserving Vegetables, which we do a lot of here at the cottage! I really appreciate you sharing with us at Full Plate Thursday and hope you are having a safe and enjoyable weekend. Thanks for the tips on preserving vegetables and sharing with us at #overthemoon link party. Have a great week! I definitely need to have this on hand next summer!